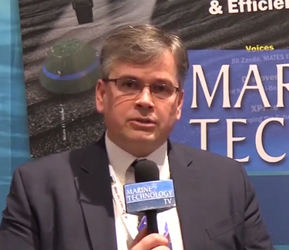 Teledyne Marine has partnered with Greensea Systems, Inc to unite the intelligence of Greensea's OPENSEA operating platform with many of Teledyne's key technologies. Teledyne Marine Workspace ROV provides a single user interface that enables added functionality and intelligent operation to Teledyne's imaging, instrumentation and navigation solutions for a range of remotely operated vehicles (ROVs) from observation class to work class. 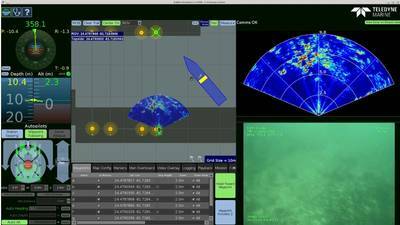 Teledyne Marine Workspace ROV introduces a fully customized interface for ROVs with system-level solutions and built-in intelligent capabilities. Incorporation of the OPENSEA architecture enables complete access to support for a vast array of devices and offers modular applications for navigation and vehicle control that increase functionality. With one operating platform visualized through one user interface, Teledyne Marine said it offers a robust, distributed framework for managing complex robotic environments: Bowtech video can include system data for a superior customer deliverable, BlueView sonar can be georeferenced and streamed to shore, integrated mission planning with Benthos' USBL, and the navigational precision of an RDI DVL can be augmented with inertial navigation.